Steps to Record Calls: There are many possible reasons why you may want to record a call on a smartphone. Maybe it’s a job interview, a message with your better half or a serious interview. Regardless of the reason, this is a task that can be performed relatively easily. Call recording on Android and call recording on iPhone is what we are going to discuss. We best ways to record and how to use the default call recording options. In our article, we explain how to record a call on Android or iPhone. Highlighting that Android is fewer limitations because Apple does not allow third-party applications to access the microphone or the phone app directly. However, you can always apply a few tricks and configurations to solve this situation. Recording calls on Android have multiple options and unlike the iPhone, there are few limitations that apply. Check this below apps which we can use and start recording calls right away. Let’s check them now. First, you must create an account on the platform, which can be done via the web or in the app to record calls. Once you have finished with the previous step. In the left menu go to Settings and then to the Calls section. In the last part, you can see Incoming call options. Enter in this section and then in Advanced Call Settings. Once in this section of the application, you will activate the options of incoming calls. In future calls, you only have to press 4 to record and the same key to stopping recording. The audio file will be available in the Google Voice account. Although Google Voice is easy to configure and because it is a Google product everything becomes easier. 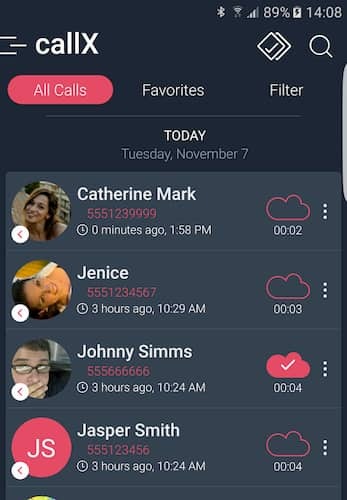 The truth is that some features that a large number of users want are not enabled, such as the automatic recording of calls as soon as they start. ACR is an app to record calls that in addition to including more features than Google Voice. Does not notify the two users that the call is being recorded. which can be very interesting for certain users if you want to carry out this process secretly. 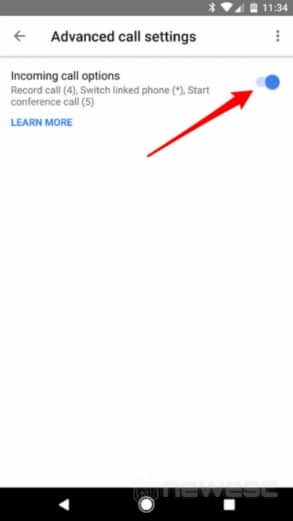 In addition to the above, there is a free version and a premium with which the ads in the app are removed and new options are added such as record by contact, start in the middle of a version or store files in Dropbox or Google Drive. It is an app to record calls on Android with and without root. Clarifying that, if you do not have superuser permissions, you must be sure that the smartphone you have is compatible with the method of this application. Where it is not a requirement to be root. If not, you have to use another app. Go to settings in the application. In the Call settings section, click on Troubleshoot recording problems. Activate the root options and accept the permissions. If everything has been done well you will see a call recording button. To achieve a record of calls without root with this app. You should check if your smartphone is in the list that is shared on Google Play and applies the same steps that have been mentioned for phones with root. It is a very complete alternative to the previous applications. It stands out for its attractive and intuitive design. One of the functions that most interests the people of this app is that it records calls automatically. So once you start talking to the other person you are going to be creating the audio file. Regarding the output formats of the audio file can be MP3 or WAV according to the preference of each user. It is possible to limit the memory space that will be assigned to be a task and conversations can be uploaded to Google Drive or Dropbox. Finally, it is possible to associate gestures such as shaking the phone. So that it starts recording. By design is an app that from the first moment will look simple for many but it is free and has several configuration options. Which allows the user to have different alternatives to make their recordings. In that order of ideas, Call Recorder is an app to record calls in automatic. It only records those that have been marked previously or those that do not correspond with contacts that have been blocked. All of the above is possible from the notifications panel. Of course, it is responsible for recording the calls on your Android smartphone in a good way. But it also includes a function to differentiate important calls from those that are not. In this case, you will pay attention to the seconds that the conversations last or mark which are courtesy calls, brief and relevant. According to the previous classification, an audio file will be stored with the conversation. The disadvantage for those who prefer free applications is that to activate these options you must purchase the premium app, although these possibilities are valued, it’s worth it. Finally, Call Rec can be an interesting alternative because you will not have innumerable and meaningless recordings in your memory. Since one of the most frequent problems with automatic call recording apps is that little by little they will end up occupy large amounts of memory space. About recording calls on iPhone, you should know that Apple does not allow third party applications to access the microphone to record calls. Therefore, the solutions to achieve this process will seem cumbersome to many. Beyond the above, below, we explain what alternatives there are. Because in iPhone the recording of calls is blocked. The applications that exist do have a solution, but they are paid. In the case of TapeACall what it does is facilitate a conference call. Therefore, the “third party” that is participating is a recording line that is provided by the platform. The operation of TapeACallPro, in general, can be understood as a solution that does meet its objective. But that seems too much for a task that at first seems simple. Anyway, be reminded that by the configuration of the iPhone, this “third party” is required in the call, so that it can be recorded. It is possible to use the application for a trial period to familiarize yourself with the concept. Since perhaps the first few times it will be confusing. In the previous case, only 60 seconds have been enabled, while the Pro version considerably extends the time allowed to speak. It is one of the many developments of Google, that through a free account offers us a voice mail. A phone number and a call recording function at no cost. Now, to be able to work, it is necessary to activate the option from the configuration of incoming calls, which can be accessed from the menu on the left side of the application. When you receive calls in the Google Voice number, you must press 4. Those who participate in the call will hear the voice of a robot who will indicate that the call is being recorded. To hang up you have to press again on 4. You can also use button 4 as many times as you want to record the calls. Because Google Voice does forward calls to your mobile number, technically the application is not being used to record the call. In other words, Google servers are actually used which work through a VoIP connection. Anyway, note that the recording is limited to incoming calls. If you are the owner of an iPhone that has and can enable with your mobile phone server conference calls and voice and visual mail. There is a low cost option that will work very well for recording calls, although the As with TapeACall Pro, a quick configuration is required. When you are in a call, you have to wait for the button to add another person and thus create a conference or call in three ways. You must tell the other person to wait, press the button and call yourself. Stay on the line and listen to your own voice mail and once the tone indicates it will be recording. Tap Merge calls so all calls are merged. 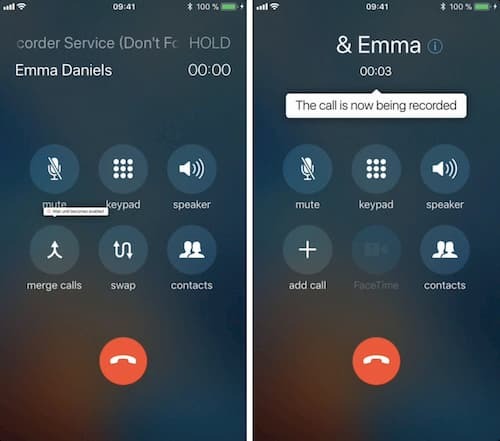 After finishing the call, it will be possible to access the recording of the call on the iPhone as if it were any other message stored in the voicemail. As in iOS, it is possible to export the messages in the voice mail as audio files. So it will be easy to have the file in the memory for future use. It is a much more cumbersome option because you need an extra device to record the call. But due to the limitations that exist, particularly in the case of the iPhone do not rule out this alternative. Make the call with the speaker activated and use a recorder to record all the sounds that are presented. The main disadvantage of this method is that the ambient sound is going to intermingle with the call. Buy an audio capture cable, which allows it to be recorded from the iPhone. Now, it is not that the audio is registered directly and digitally, but it works very well when connected to the device. A digital recorder to connect directly with the smartphone. In most cases, you will have a USB cable to facilitate the passage of audio files to other devices. The recorders of audios or calls via Bluetooth are the alternative that works best within this field of possibilities, only that the price is higher. Is it Legal to Record Calls on the Smartphone? Although it may be the least relevant for most people interested in an app to record calls. The truth is that this aspect should be considered because in certain cases the laws can mean quite serious penalties or simply abuse the privacy of another person. In some countries, it is not legal to record calls over the phone. So it is suggested to check beforehand if these regulations apply in your area. An example of this is the United States, where even each State presents specific regulations which must be addressed to avoid legal problems. Finally, it is most likely safe to record the calls from your mobile phone for you. But it will always be more appropriate to review the laws that apply in each country and have the consent of all parties involved to avoid future problems. Hence, You have got the best ways and best applications to record calls on Android and iPhone. Even we have shown you the way to do it. So start using the recording options to record calls of your need. We hope you like this article the most and willing to share the article with your friends and families at social media networks. Feel free to ask your questions in the comment box below. Stay tuned to Cracko for more awesome articles.